The Indian Air Force will participate in Langkawi International Maritime Aero Expo-2019, (LIMA 2019). The Langkawi International Maritime Aero Expo-2019 is scheduled to take place from 26th March 2019 to 30th March 2019. Union Defence Ministry stated in a release that the Indian Air Force is participating in the Expo for the first time and it will showcase its indigenously developed LCA fighter aircraft. 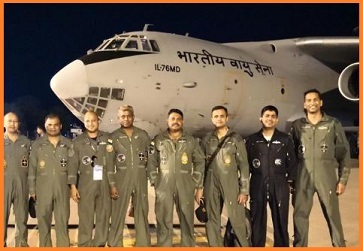 The participation of the Indian Air Force in LIMA - 2019 will provide an opportunity to air-warriors to interact with their Royal Malaysian Air Force counterparts and foster a close relationship between the two services.